Are you passionate about the sport of lobster diving? 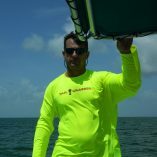 If so, you probably would like to purchase some lobster diving apparel and clothing to wear. There are many great reasons why someone would want to purchase lobster diving apparel, and you will find some of those reasons below. Do you have someone in your family that simply loves anything lobster related? If so, they would really love some lobster diving apparel to wear while they are not in the water looking for their favorite catch. If you are a fan of lobster diving, then you will probably want the world to know by wearing a lobster apparel. Not many people know about the sport of lobster diving. A great way to spark up a conversation about the sport and to educate people is by wearing lobster apparel. The more people that know the real facts about your favorite sport the greater chances that this sport will survive the critics. Let’s face it, not everyone is a fan of lobster diving and there are many misconceptions out there about it. Lobsters are beautiful creatures that grace our oceans and provide us with a delicious source of food. Wearing them on your shirt is a fun way of showing them off to everyone the comes into contact with you. Unless you’re at a lobster convention, you probably won’t run into a whole look of people with lobster on their shirts. So wearing lobster inspired apparel will help you stand out from the crowd. People will notice what you are wearing and many will probably ask where you found such cool gear! When you are out on the open water in your boat, you need to keep as cool as possible. 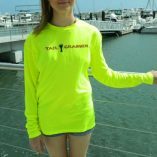 Lobster apparel comes in a wide range of light colors that will keep you cool while you are out enjoying the waves. 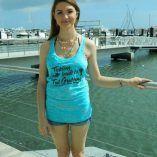 This entry was posted in Apparel and tagged apparel, lobster apparel, lobster clothing, lobster gear, lobster lovers clothes.